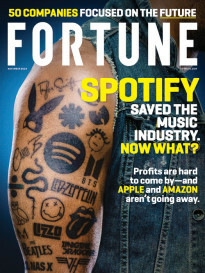 FORTUNE — 2013 will be seen as a turning point in the evolution of eSports, or Electronic Sports, which pit the world’s best video game players against one another for huge cash prizes. Over $15 million in prize money will be distributed through video game leagues and tournaments by the close of this year. Professional video gaming is shattering records with each new global tournament. The millions of fans who tune in to watch pros play video games such as League of Legends, StarCraft II, Dota 2, and Call of Duty: Black Ops II are starting to attract the same type of sponsors that market to traditional sports fans. Coca-Cola (KO) is one of the biggest brands to enter eSports. The company used the League of Legends World Championship at the sold-out Staples Center last month to reveal that Coke Zero will sponsor a new minor league series that will serve as a place for gamers to compete in before going pro. Although eSports has been around since approximately 1997, it hasn’t been until recently with the 2007 debut of Justin.tv (now Twitch) and the 2009 launch of Riot Games’ free-to-play League of Legends that things really accelerated. According to Peter Warman, president of video game research firm Newzoo, the majority of gamers around the world play the MOBA (multiplayer online battle arena) game that pits teams of champions against one another within a fantasy setting. Fifty percent of the players are in Asia, and the other half come from the rest of the world. Warman says that 85 million of the 1.2 billion gamers worldwide play it. “We expect the total gross revenues of League of Legends to be at least $350 million this year,” says Warman. More than 32 million players engage in the team-based five vs. five combat action a month, according to Riot. There are over 12 million active players a day with a peak concurrent rate of 5 million gamers engaging in the game. Without a doubt, this makes League of Legends the most popular game on the planet. And this popularity has opened a lot of eyes to the competitive gaming space. Organizations like the European Sports League (ESL), World Cyber Games (WCG), Major League Gaming (MLG) and Intel Extreme Masters (IEM) have incorporated League of Legends into their events, working with Riot to make the overall season have stops around the globe. Riot Games handed out $8 million throughout its global season this year. Over 1.4 million fans tuned in to watch the Finals between South Korean gamers SK Telecom T1 and Chinese gamers Royal Club. A new season begins in January. And Riot Games is just part of the eSports field. Activision (ATVI) and Microsoft (MSFT) gave away $1 million in cash to the top Call of Duty: Black Ops II players in Los Angeles in April. Virgin Gaming awarded $1 million in checks to the best PlayStation 3 EA Sports FIFA Soccer 13, NHL 13, and Madden NFL 13 players in Las Vegas back in February for the EA Sports Challenge Series. Other game companies have awarded purses from $360,000 to $1.8 million in tournaments. Valve Software gave away the highest prize purse in eSports history — $2.8 million — to the top players of its DOTA 2 (Defense of the Ancients 2) game at The International 3 in Seattle in August. Team Curse League of Legends captain Brandon “Saintvicious” DiMarco believes the trajectory eSports is on will result in mainstream popularity within 10 years. 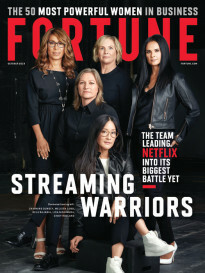 ESports already has a huge following with advertising’s favorite demographic, males 13 to 35, but the ability for fans to bypass television and tune into big events on PCs, mobile devices, or consoles has kept the majority of consumers in the dark about this growing phenomenon, at least in the U.S. In South Korea, there are eSports-dedicated TV channels, and pro gamers like StarCraft II pro Jang “MC” Min Chul are treated like real athletes, complete with huge endorsement deals and TV commercials. Fans are already averaging 100 minutes per session watching eSports content on Twitch. And Youtube (GOOG) and Azubu.tv are seeing record growth thanks to the livestreaming of practices and competitions. Livestreaming has opened up the ability for pros to connect directly with fans. The hand-eye coordination and mental processing that is required for pro gaming is similar to real sports. Pros often take time away from college and make other sacrifices to play in the big leagues. Like more physical sports, the window for peak pros to compete at the highest level is finite. In addition to earning salaries and getting paid sponsorships and receiving free travel and housing, some pro gamers even have agents. With the advent of newer, bigger advertisers – and eSports has already seen big companies like Dr. Pepper, Stride, Red Bull, Doritos, Alienware, Qualcomm (QCOM), and Intel (INTC) get on board – these already significant prize pools will continue to go up. And the more money up for grabs, the more attention eSports will generate.